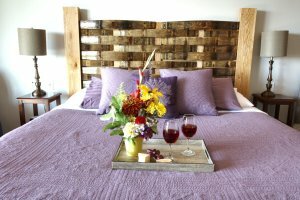 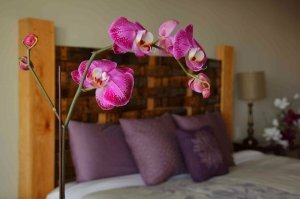 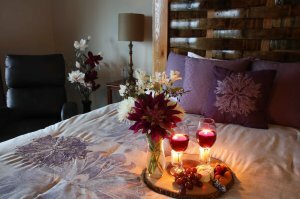 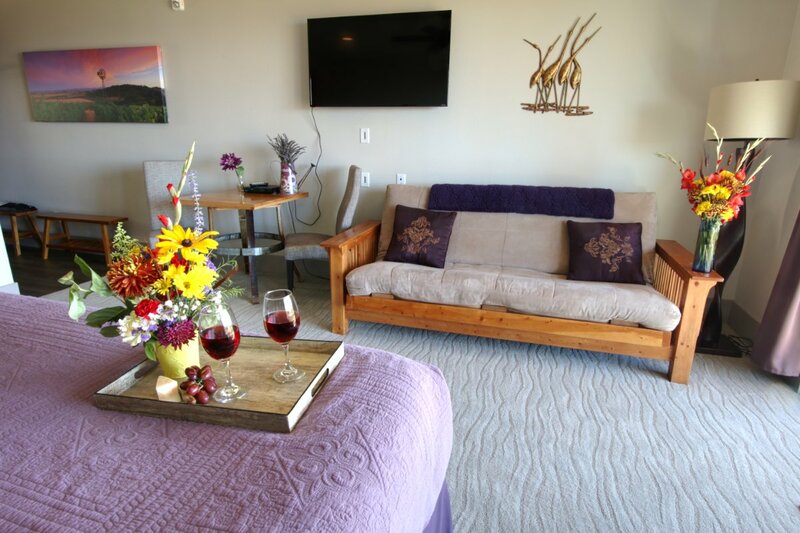 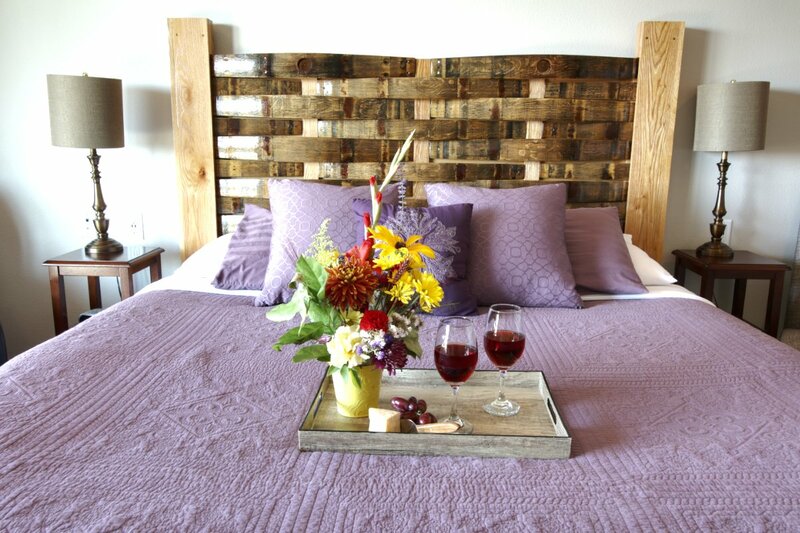 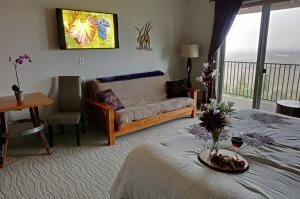 The Eola Suite evokes the spirit of Oregon's wine country with its wine barrel headboard and vineyard themed art. 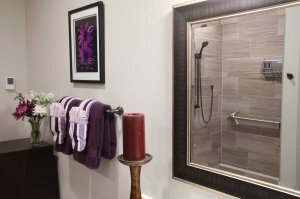 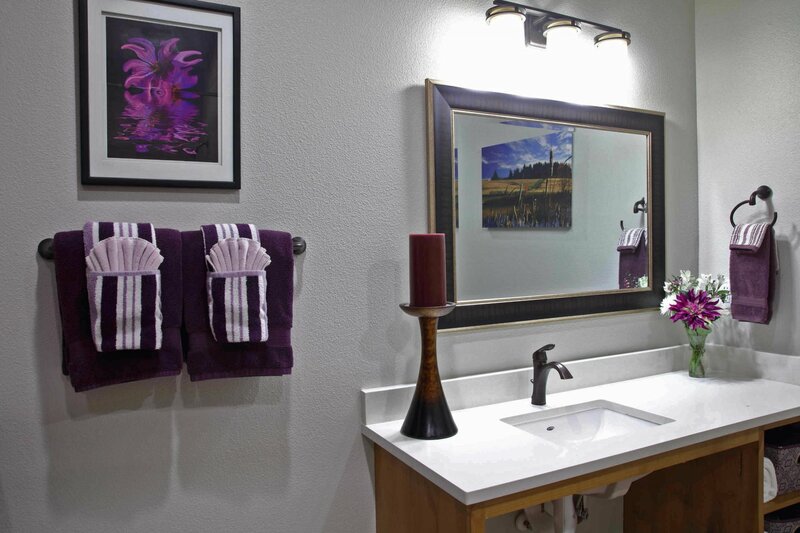 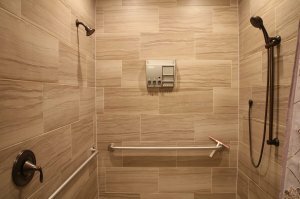 This main floor room is designed for people with disabilities or who need a little extra assistance with an extra large bathroom and other ADA features. 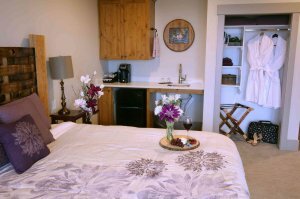 The spacious bedroom accommodates up to four guests. It also provides a table with chairs and a comfy lounge chair. At almost 500 sq ft, this is one of the two largest suites at the inn.